Immigation and immigration law are controversial and often confusing subjects. In this piece we will take a look at how the law addresses people from different countries, and in particular those currently coming to the US from Honduras. Hurricane Mitch formed on October 22, 1998 in the Caribean Sea. Over the next ten days, it became one of the deadliest hurricanes to ever hit Central America, causing over 11,000 fatalities, 7000 in Honduras alone. Most of the other deaths were in Nicaragua. Honduras suffered massive damage. As much as 80 percent of it’s transportation network, including roads and bridges was destroyed. Agriculure was destroyed, and fresh water became nearly unavailable. Twenty percent of the population was left homeless. Countries from around the world donated over $6.3 billion dollars to the Central America recovery effort. In 1990, President George H.W. Bush signed into law the Immigration Act of 1990. The bill was first introduced by Senator Ted Kennedy in 1989. The Act increased levels for overall immigration, and included several controversial portions, including a new “Diversity Immigrant Visa”. The law also included the new “Temporary Protected Status” Visa. On January 6, 1999, then Attorney General Janet Reno designated Honduras as the first recipient of TPS status due to Hurricane Mitch. Since the origination of the Act, twenty-two (22) countries have been given this status. As of this writing, ten still remain: El Salvador, Haiti, Honduras, Nepal, Nicaragua, Somalia, South Sudan, Sudan, Syria, and Yemen. 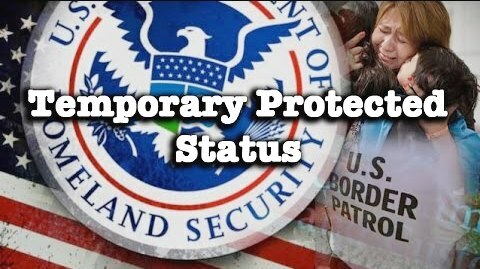 As of 2017, there are approximately 300,000 immigrants residing in the United States with Temporary Protected Status, some since 1999. In the past (prior to 1998), the temporary aspects of this status usually meant just that. 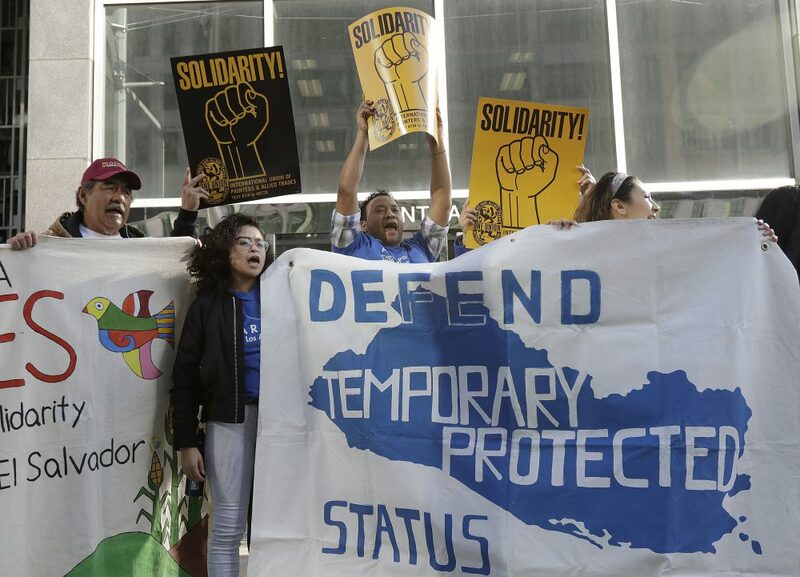 Twelve countries were granted TPS status, and that status generally expired in less than five years, even with extentions. 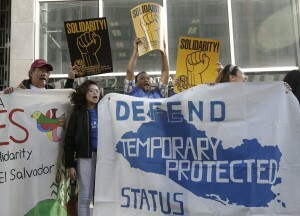 (7) The ten countries granted TPS since 1998 however, have had their temporary status extended again and again. When President Trump entered office, he determined that existing long-lasting TPS orders were not to be extended. In January of 2018 the government announced that temporary protections for asylees from Nicargua (2500 immigrants) will expire in January 2019. Haiti (59,000 immigrants), July 2019. El Salvador (263,260 immigrants) will expire in September 2019. 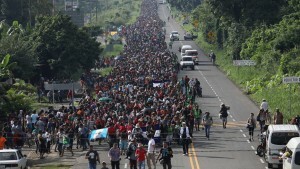 Honduras (86,000 immigrants) January 2020. Asylum is the seeking of protection in another country when one may be persecuted in their own. According to the United Nations since 1948, everyone has the right to seek asylum from persecution based on race, religion, nationality, or political opinions. The right to request asylum however, does not mean that asylum must be granted. There are normally about 320,000 asylum cases pending adjudication . On average, cases have been taking over 1000 days, almost three years for final decisions. In some locations, such as New Jersey and California, the wait time has averaged 1300 days. As of May, 2018, there was a back-up of 697,777 total immigration cases pending before 334 immigration judges nationwide. Typically, if an immigrant makes it into the United States and requests asylum, they are detained for a short period of time, assigned a hearing date, released into the US, and told to return for their hearing. This is what is meant by the term “catch and release”. Frequently however, partially because of the long wait for a hearing, the person does not return, and remains illegally in the US. The Adminstration sets an annual ceiling for resettlement of refugees. President Trump reduced that number to 45,000 for FY2018. President Obama had raised the ceiling to 110,000 during the last year of his administration. Applicants can apply for asylum at any US embassy or consultate in the world. There is, at the time of this writing, a large migration of people from Honduras, heading toward the US border. Dubbed the “Caravan”, this group seems to vary in size as it moves along, but numbers in the thousands of people. The caravan began around October 12, with about 160 people. It rapidly grew in size, with numbers estimated between 5000 – 7000 near the end of October. Precise numbers are non-existent, and the count seems to vary as the size of the group expands and contracts along the way. The reasons given for the migration are multiple; poverty, lack of job opportunites, crime, violence , climate change, etc. Regardless of the reason, the migrants are hoping to plea for asylum once they reach the US border, which likely will be in late November, if the group does not disperse. There have been “caravans” like this before, but some have disbanded before reaching the US. 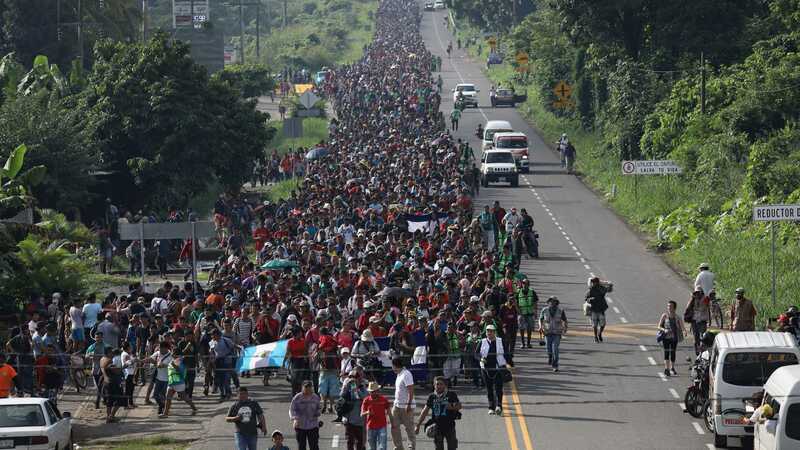 Regardless of the results of this “caravan”, one thing is clear; there is an uptick in migration toward the US border, and how it will be handled is not clear, largely because the government, especially Congress has failed to address the issue or update current law. First, it needs to be stated that the current migration from Honduras seems to be planned and orchestrated. Large groups of people from countries do not simply migrate spontaneously without a reason. It would appear there are those trying to take advantage of the special status of Hondurans. Secondly, these migrants do not have to come to the United States to apply for asylum. They can do so at any American embassy or consulate. There are ten (10) such American consulates scattered across Mexico, but there seems to be little interest in applying there. This “surge” is orchestrated to reach the US border. Back in the days when masses of immigrants came to our shores from around the world, the United States had few immigation laws and virtually no limitations on numbers; but now we do. Congress has seen fit to put limits and qualifiers on who gets into the country and who does not. This is the law. Laws are only useful if they are obeyed and enforced. Deliberate disobedience to the law is a criminal offense. Willful non-enforcement of the law is neglect and malfeasance. Lawful immigration is acceptable and welcome, illegal immigration is not. A person who comes into this country illegally has broken the law, and is guilty of only a misdemeanor. If that person is caught, deported, and comes in again, it is a felony, and they are a criminal. That may not seem right, but that is the law. Congress writes the law. They can change it. Congress has repeatedly failed to revise our immigration laws, creating an untenable situation. We cannot blame someone from a poor country trying to come to the United States. We can blame our own government for failing to address this issue, and failing to enforce or change the law.